Purchase online in India WCM3720A AC Current Sensing Module at low price from DNA Technology, Nashik. The WCM3720A module consists of a current sensor and a very high accuracy Analog to Digital converter, power on/off switch, digital signal of current and a setting current over control output and an internal regulator for sensor. 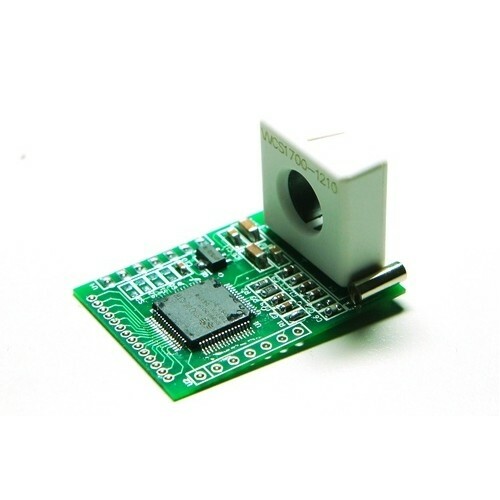 The WCM3720A includes a current sensor with a diameter 9mm hole, users can just use system’s own electric wire by pass it through this hole to measure passing current without breaking original system, user’s MCU can get the real data from DATA pin. WCS2210 Linear AC Current SensorThe Winson WCS2210 Linear AC current Sensor provides economical and ..